These 100 percent silicone pacifier clips are not only delightfully charming, they’re the perfect answer to losing baby’s binki. 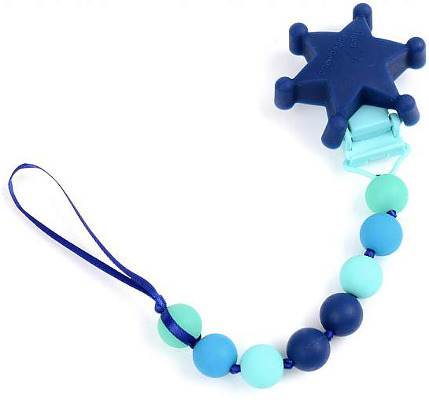 These Chewbead pacifier clips will securely attach to baby’s clothing, preventing the paci from falling and becoming lost. 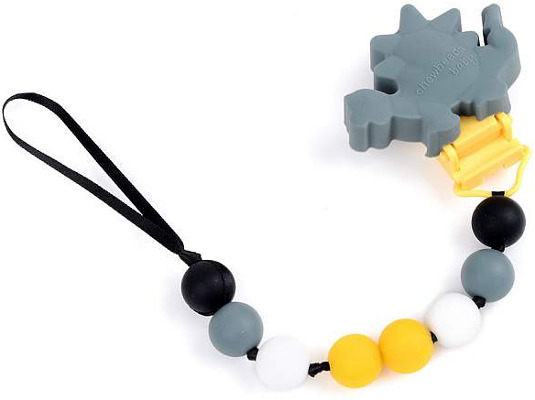 Some of the adorably cute Chewbeads Pacifier Clips will actually glow in the dark, making this unique pacifier clip a ground-breaking technology just for infants. Clip designs include the butterfly, the heart, the dinosaur and the sheriff’s badge. Simple to clean, just rinse with warm water and soap.